Are ready for the most incredible opportunity in Asia. You have opportunity to bring humanitarian, spiritual and family support to villages throughout the many Islands of the Philippines. In a country devastated by cataclysmic level typhoons, flooding and devastating earthquakes are 100 million people with tender hearts, searching desperately for hope, healing and salvation. Ambassador Ministries has a calling to bring the message of Jesus, hope and healing to the Philippine people and we need you. The method of fulfilling this calling is to share the good news of Jesus and be the hands and feet of Christ in word and deed. Ambassador Ministries recently completed a medical relief trip to three Island in the Philippines, where our team of nurses, accompanied by local doctors, treated close to 1000 patients still affected by the earthquake and typhoon. The nurses worked tirelessly and went above the call of duty. Thousands of residents of Datu Unsay in Maguindanao started evacuating early yesterday morning after fighting started between the Armed Forces of the Philippines (AFP) and the Bangsamoro Islamic Freedom Fighters (BIFF). Last Wednesday, AFP Chief of Staff Gen. Gregorio Pio Catapang declared an all-out offensive against the BIFF to protect communities from the Muslim rebels. In response, BIFF spokesman Abu Misry Mama said yesterday that they will also launch their own all-out offensive against the military in various parts of Mindanao. The fighting started shortly after around 80 heavily armed BIFF men, led by Commander Karialan and Kadafy Abdulatip, set up a blockade at a vital portion of the Cotabato-General Santos National Highway, particularly in Sitio Quarry, Barangay Iganagampong in Datu Unsay at around 9 a.m. yesterday. The BIFF harassed residents, who were forced to flee, the report added. After receiving reports about the BIFF blockade, members of the 45th Infantry Brigade and 2nd Mechanized Company of the Army were deployed to conduct clearing operations in the area. However, the government troops were met by gun fires from the BIFF side at the national highway in Maitumaig, Datu Unsay. As of press time, no casualty has been reported but thousands of residents have already evacuated. But sources reported that a military tank was immobilized after it was hit by a rocket fired from 90RR launcher. Fleeing residents said they saw at least six BIFF members killed and several others wounded during the clash. No casualties were reported on the side of the government forces. With your support, we take food, medical supplies, building materials, personnel, pastors and leaders to the very doorsteps of the smallest huts and villages throughout many Islands in the Philippines, primarily untouched areas where the needs are beyond immense. The word “desperate” is an understatement of their needs. The best way to help the Philippine people is to take goodness of God, in every way possible, directly to the people. That means sacrificial efforts are mandatory for these hard hit areas and hurting people in the Philippines which are still suffering from the typhoons and earthquakes that hit the Philippine Islands in 2013. At Ambassador ministries, we know the importance of education from an early age and the importance of biblical education as well. Ambassador Ministries is working with local pastors that rescue young people that have been abandoned by their families and teach them to be powerful and successful ministers for the Lord. These are the ones sent directly to the people. Many of these young men and women have gone on to plant and pastor churches of their own throughout the country and abroad internationally. Ambassador Ministries has large footsteps to follow. Men like Mike Keyes that paved the way by showing what a true servants heart looks like. Mike left the USA in September, 1980, with $20 and a one-way plane ticket to the Philippines. To date, with his efforts and the with the empowering of God over 750,000 people have made a decision for Christ. He has helped plant 150 churches in the Philippines alone. The founders of Ambassador Ministries have been privileged to travel to some of these villages and be a part of the healings, salvations and movement God is doing in the Philippines. Ephesians 3:20-21 Says it clearly: Now to him who is able to do immeasurably more than all we ask or imagine, according to his power that is at work within us, to him be glory in the church and in Christ Jesus throughout all generations, forever and ever! Amen. The ongoing operations are dependent upon financial support from all of us. Let’s see how far God can go with willing servants and joyful giving. Our goal in supporting the Pastors and their families that sacrifice so much, the evangelistic work, the humanitarian needs, food and supplies is $3,000 a month. Never forget, We’re in this together. Supporting crucial causes worldwide. Visit our blog for more information and an opportunity to ask a question or a leave a comment. 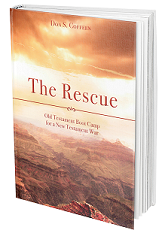 Sign Up To Download The Critically Acclaimed Novel "The Rescue"
"Join us in Passion, Purpose and Provision"
Please select the amount you would like to donate. $25 is the default value.